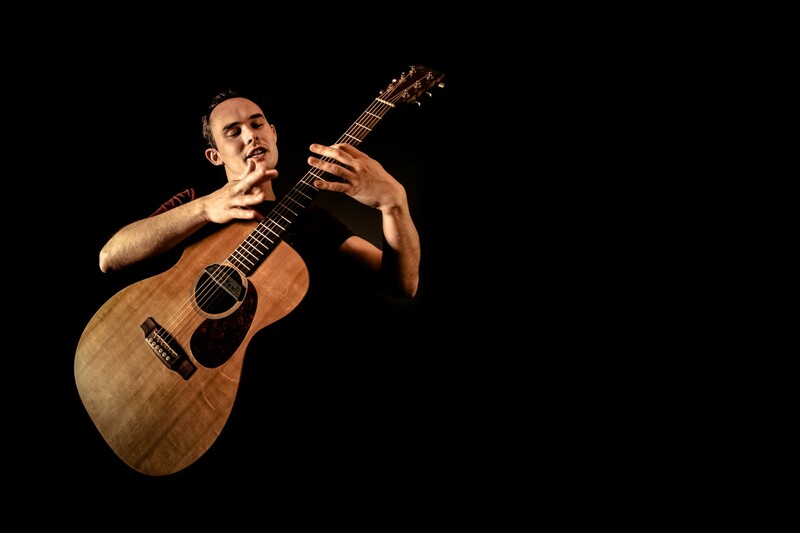 UK-based acoustic guitar phenom Chris Woods blends percussive grooves, jazz textures, and adventurous melodies to craft his ear-bending instrumental performances. Under the moniker the Chris Woods Groove, he has relentlessly toured both Europe and the U.S., offering master class lessons by day and jaw-dropping performances by night. His instructional book/DVD Percussive Acoustic Guitar (Hal Leonard) has fast become the go-to resource for acoustic guitarists looking to learn the techniques employed by percussive guitar legends like Michael Hedges and Andy McKee as well as contemporary pop-minded songsters like John Mayer and Ed Sheeran. To learn more, please visit chriswoodsgroove.co.uk.